The Citadel of Besancon is one of the finest masterpieces of military architecture designed by Sebastien Le Prestre de Vauban. The Citadel occupies eleven hectares on Mount Saint-Etienne, one of the seven hills that protect Besancon, the capital of Franche-Comte. Mount Saint-Etienne occupies the neck of an oxbow formed by the river Doubs, giving the site a strategic importance that Julius Caesar recognised as early as 58 BC. The Citadel overlooks the old quarter of the city, which is located within the oxbow, and offers a magnificent view of the entire city and its surroundings. The fortification is well preserved. Today it is an important tourist site (over a quarter of a million visitors per year) due both to its own characteristics and because it is the site of several museums. 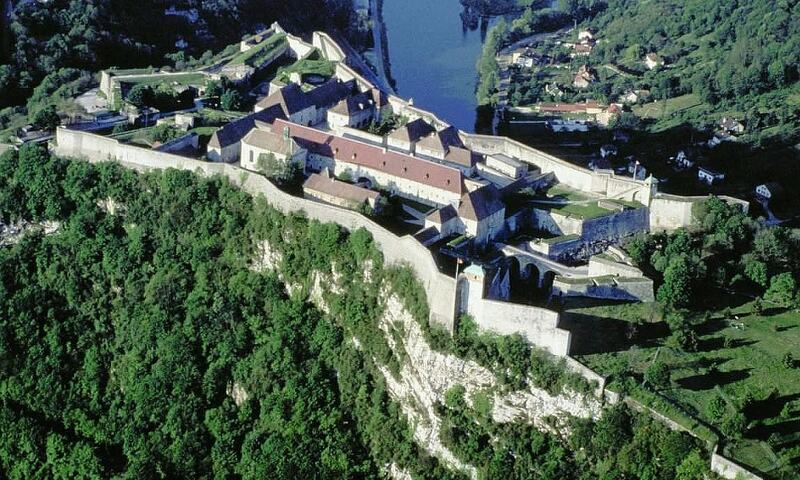 On July 7, 2008, UNESCO listed the Citadel, together with nearby Fort Griffon, as a World Heritage Site. Since 1942, the French Ministry of Culture has listed the Citadel as a Monument historique.